Toric contact lenses are lenses for astigmatism. Air Optix , Acuvue , Dailies , Soflens , PureVision , 1 Day Acuvue , all make toric contact lenses that can be worn by astigmatics . 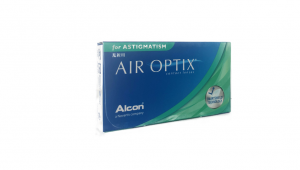 Air Optix for Astigmatism is a monthly toric contact lens which provides you with consistently stable vision. 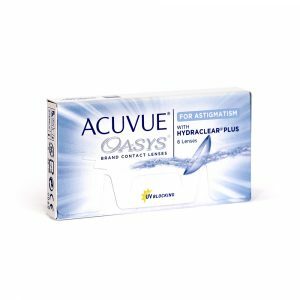 Acuvue Oasys toric contact lenses with the next generation of Hydraclear Plus, providing a greater sense of comfort . 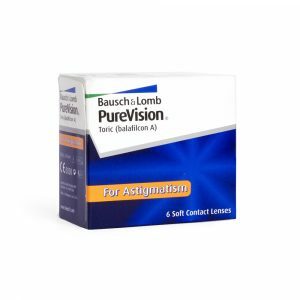 Purevision for Astigmatism toric contact lenses with silicone hydrogel technology, offering outstanding comfort. ©2019 We Love Lenses. All Rights Reserved. Successfully added product to cart. View products in Euro (€)?